Web-based financial planning service Mint.com had an iPhone app available a full year before it was acquired by Mountain View software company Intuit in late 2009. 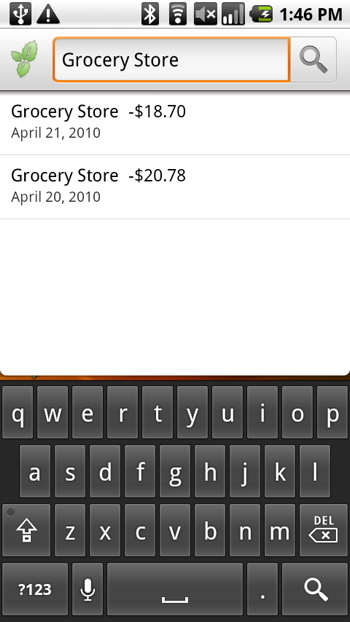 Today, the company has finally released a version of its personal budgeting app in the Android Market. Like its iPhone counterpart, Mint for Android gives users mobile access to all of the banking, investment, and budgetary records that Mint.com organizes for them, but it adds features that are unique to the Android platform. 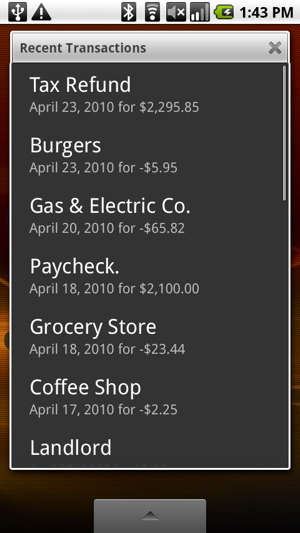 These include: a home screen widget that gives a real-time view of the user's overall cash flow, a live folder dedicated to all the user's recent transactions, and the ability to make the user's Mint.com data searchable in the Quick Search box. The entire app can then be equipped with a four-digit PIN number so the user's financial data won't be exposed if his phone is lost or stolen. Atish Mehta, mobile engineer at Mint.com, talked with Betanews about the design of the Android app versus the now year-and-a-half old iPhone app. "It's our belief that Android is only going to continue to get more popular, and that it will come close to the iPhone," Mehta said. "Other developers shared with us the experiences they had working on the Android platform. They said it had a good SDK, and that the APIs were well organized, and we heard that other platforms...which I won't name...happen to be much more of a pain to work with." So does that mean it lived up to the expectations that the Mint mobile team had? "I found it to be a good experience," Mehta said. "There were a couple hiccups, but overall it was good...The interface designer is better on iPhone, but it's actually much easier to develop on Android. It's just more logical, and it's organized better. Plus, there's more community support to help out when you have questions. Personally, I'm excited about the openness of the marketplace. We can push our app out on Monday and it will show up the same day. There's none of the indefinite waiting for someone else to evaluate the app." But with fewer guidelines to follow, and a lack of an evaluative body for apps, the Android market is free to contain as many of low quality applications as developers care to submit. There are already a large number of apps which are so poor that they should not be downloaded by anyone. I asked Mehta if the lack of a quality policeman is one reason why he feels Android app creation is easier. "We had to think about what's best overall with Android. When designing the app, we saw three points which were really cool for users [widgets, live folders, and global search], but they each represented a security concern," he said. "The app is audited by independent security firms, and they use the source code and do whatever they can to access the data. Then they give us recommendations for security. In the end, we let the user decide whether or not to expose data in these three areas in the settings menu, and whether or not they want to apply the password feature." "For us, we sweat the details whether or not there are strict guidelines on content and design," Mehta said. "Because ultimately, even if app developers don't have those guidelines, they shouldn't slack. They are making a product for the users, regardless."